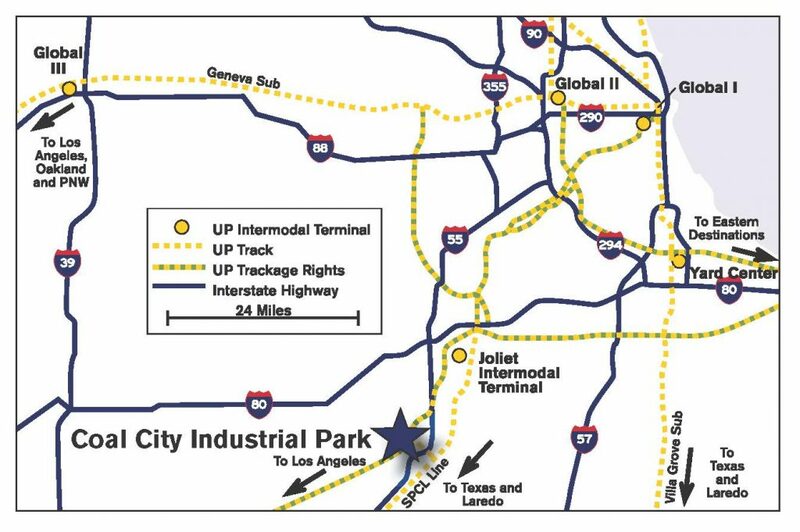 Located 50 miles southwest of Chicago in Coal City, Illinois, Highfield Rail Park offers direct Union Pacific rail service from major Gulf of Mexico ports, the ports of Los Angeles and Long Beach, and Mexico. The Park is designed to efficiently serve customers requiring significant rail car volume. This convenient hub location has immediate access to I-55 and close proximity to I-39, I-80, I-88, and I-294. Copyright © 2019 HIGHFIELD RAIL PARK - CHICAGO.